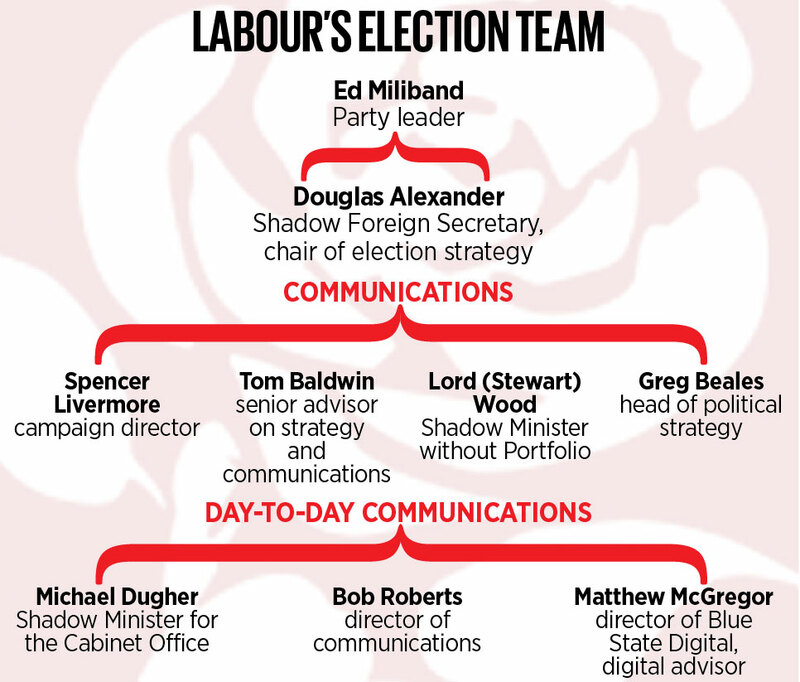 Labour have assembled the team that will lead the party into the 2015 general election. Douglas Alexander MP has been made the chair of election strategy. Given that he was the General Election Co-Ordinator for Labour’s failed 2010 effort, some outsiders are surprised at his nomination. However, having served under both Brown and Blair he is seen as a more neutral choice than his predecessor Tom Watson. And given the task – selling Gordon Brown to a nation weary from 13 years of Labour rule and in a deep recession – he must be congratulated for preventing the Tory’s from getting a majority. Spencer Livermore becomes Campaign Director. His private sector experience is impressive; he set up and runs Thirty Six Strategy, Blue Rubicon’s strategy consulting arm and has previously been a senior strategist at both Saatchi & Saatchi and Fallon. As well as that, for ten years from 1997, Spencer was a senior New Labour election strategist, as Director of Strategy to the UK Prime Minister in 10 Downing Street, and as Chief Strategy Adviser to the Chancellor of the Exchequer. He was a member of the election-winning campaign team in the General Elections of 1997, 2001 and 2005, and was listed by Philip Gould in The Unfinished Revolution as one of seven people who devised the strategy for the 2001 and 2005 General Elections. Exciting times ahead for the guys in red. Yes, it’s a shame and a mistake. Shameful, rather than a shame. No doubt someone will be shoe horned in, but you would have thought that perhaps , just maybe, it would have been part of the process in the beginning. Perhaps Labour women should have their own team, and perhaps their own Party…. ?